Sous-vide cooking has many advantages in the commercial kitchen. We specialise in the production of customised sous-vide equipment. The sous-vide cooking method cooks food under vacuum which contributes to the preservation of the product. 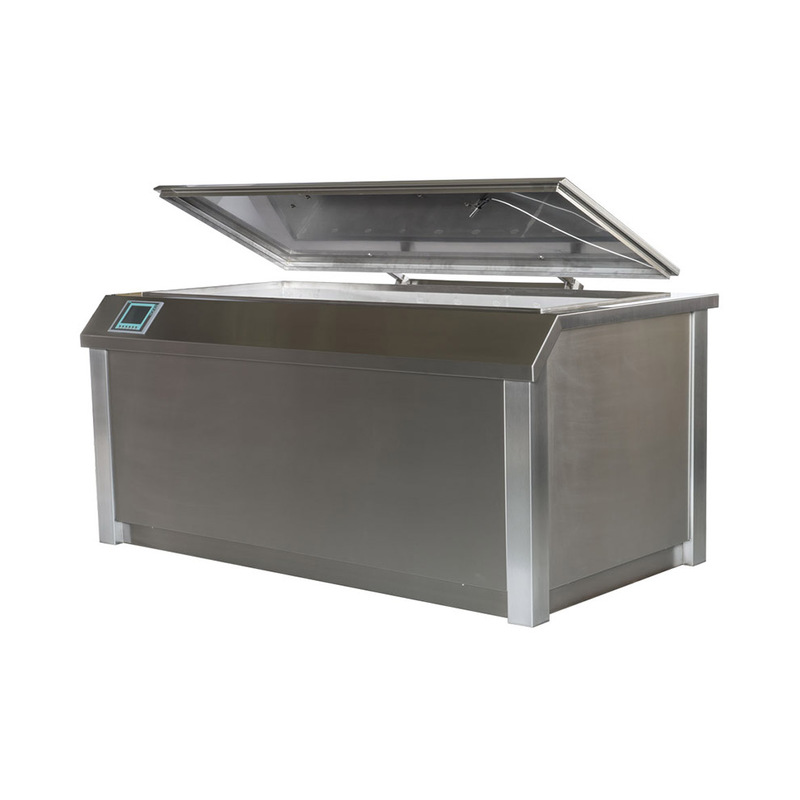 We have extensive experience in the production of sous-vide equipment which is produced in brushed stainless steel for easy cleaning.The user-friendly touch-screen display serves all the functions of the machine. Sous-vide cooking consists of cooking a vacuum-packed product. The food is prepared and vacuum-packed. Then the product is cooked in a water bath until the desired temperature is reached. Meat that requires a crust must be fried or baked either before or after the sous-vide cooking. Even though the sous-vide cooking method was developed in a lab there is nothing artificial about food cooked in a sous-vide. Vacuum prepared products have longer shelf life and the cooking bags retain aroma and overall quality of the food offering a full taste experience. In addition sous-vide cooking ensures maximum tenderness in all meat cuts. In commercial kitchens the sous-vide is essential in achieving unique operational profits. Thanks to the sous-vide cooking method allowing for bulk production, it is a staff reducing production method. The products’ prolonged shelf life provides an opportunity to separate in time the preparation and serving, offering great flexibility in production planning. Thanks to the airtight packaging no contamination will occur when handling the products. Weights, dimensions and product codes vary between JOM Sous Vide machines. Download the brochure above for the full range of specifications.